I would think that the ideal time of planning the observations is between July and October, when the Sun’s glare becomes a problem. Past that, the disk is observable for 9 months. Hi ! 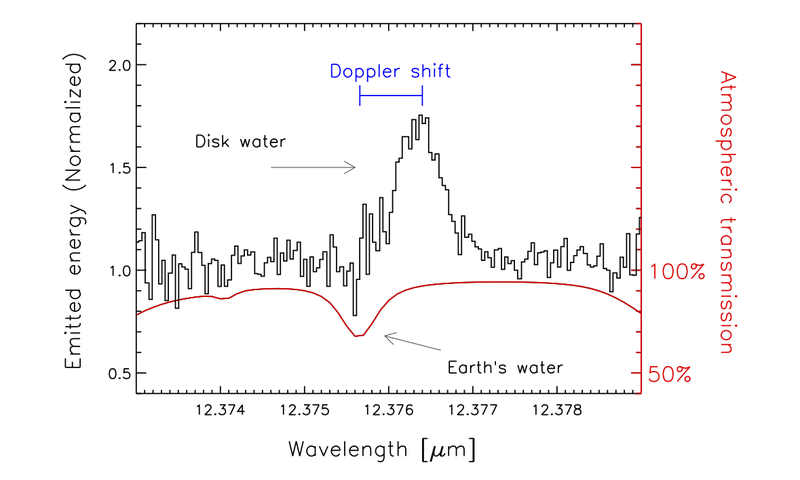 The Doppler shift shown in the first figure the spectrum has moved to longer wavelenghts (i.e. 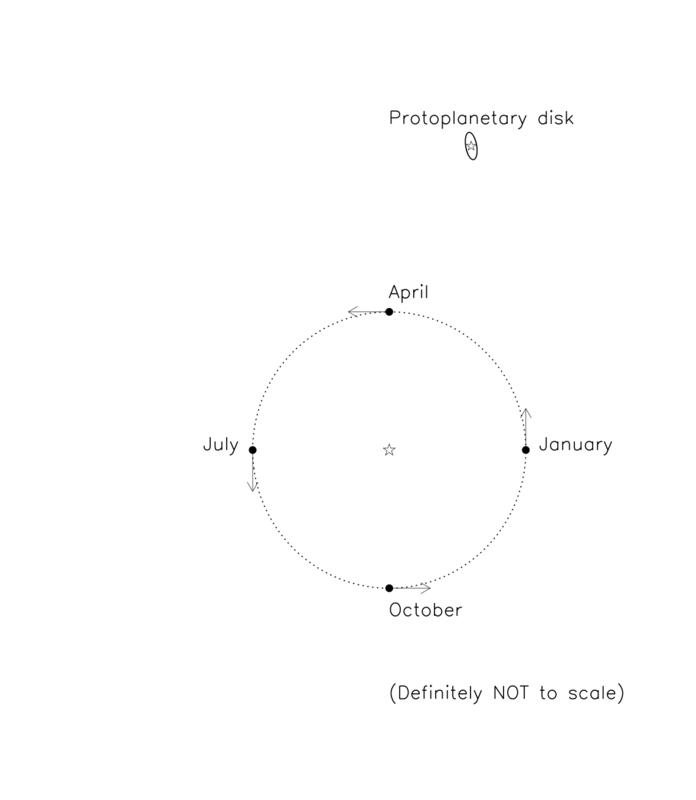 it has been redshifted), therefore the observer and protoplanetary disk are moving away from each other, which, according to diagram 2, happens after April and around July. The ideal time for planning an observation of this protoplanetary disk would be when there’s a shifting in wavelenght, that is, in late spring/early summer and winter. The worst times for observing would be when the observer and the protoplanetary disk are not moving closer or away from each other enough to detect a shifting. According to theory, and contrary to what we observe in other planetary systems, gas planets should form further from their star than most of those we observe do. It’s also important to consider tidal effects which may have caused planets to migrate closer to their star after they were formed.